John has been involved in the music and media industry in New York for 20 years. He has written, recorded and produced songs for artists across all genres on both Indy and major labels such as Sony, Interscope, Universal, Atlantic, Fueled by Ramen, BMG, Blue Note, Columbia and many others. He has produced and engineered a long list of albums, as well as music for film, television, radio, and video games. Also a performer, White is the lead singer in the band 78RPM. 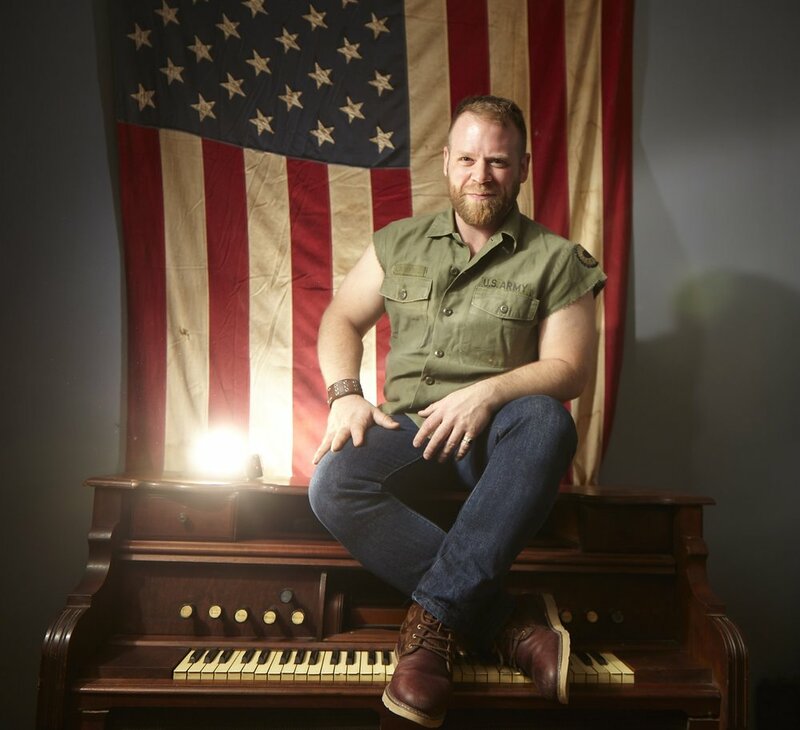 A classically trained singer, he has traveled the U.S. in leading roles for operas and musicals, including Tosca, The Marriage of Figaro, West Side Story, Annie Get Your Gun, Jesus Christ Superstar, The Sound of Music, Brigadoon, and more. Rich DeCicco studied classical percussion at William Paterson University before moving to New York City to begin is professional career at Pulse Music (PulseMusicNY.com). DeCicco specializes in writing and producing music for commercials, and his work has been featured in national spots for American Express, McDonald's, IBM, Coca Cola, and Macy's. DeCicco has produced thousands of tracks, in every possible genre. In 2012, DeCicco opened Fidget NYC, a music production collective that serves brands, bands, and artists. He has worked with some of New York's most talented young artists, notably Sam King, Cassandra, Emma Love, The Ladies of Sport, and Julia Haltigan. Brad Hammonds is the founder of Footnote Records and Experience Vinyl and a professional musician. He’s worked in the music industry for over 15 years, released several albums, placed songs in several films and television shows, and run his own record label. He has worked with Santana, Talib Kweli, George Clinton, Grace Slick and other legendary artists. Hammonds has toured throughout the US and internationally as a guitarist/songwriter, is co-member of Hannah Gill and the Hours, and the bandleader for the viral phenomenon Brass Against the Machine. He joins WhiteWater with an aim to give up-and-coming musicians the opportunity to collaborate with exceptional songwriters and musicians- and always scouting new talent for the label. Chris has been blowing up power supplies and using unnecessary diminished chords around NYC for over a decade. Chris was the head engineer at Pulse Music for over a decade where composed and mixed spots for many brands like Snickers, Maxwell House, Axe and Oprah. He has recorded artists including Naughty By Nature, Queen Latifah, Jaheim, Dragonforce, Naomi Raine, Edmond, Bell Biv DeVoe and Rebirth Brass Band. Chris joined the WhiteWater team in 2015 bringing along his penchant for noisy compression, live takes, and too many guitars, Chris has continued to mix and produce projects from many different styles and formats, and also writes and performs with his projects The Caption (www.thecaptionmusic.com) and The Deviant Fix (www.thedeviantfix.com). Andre “GC” Fennell is a multifaceted writer, producer and performer. A Six-Time Grammy Nominated song writer and producer, he has worked with internationally known artists such as Shaggy, Maxi Priest, Eve, Ne-yo, Diddy, Lionel Richie, Cobra Starship, Beyonce, Bob Sinclair, Stephen Marley, Damian Marley, Wyclef, Chris Cab, Chris Brown, Elephant Man, Corey Hart, and more. “Feel the Rush,” which GC co-wrote and produced for Shaggy became an international hit, which sold more than 150,000 copies in Germany was later featured in the Universal Pictures 2009 hit movie, "Couples Retreat" featuring Vince Vaughn. 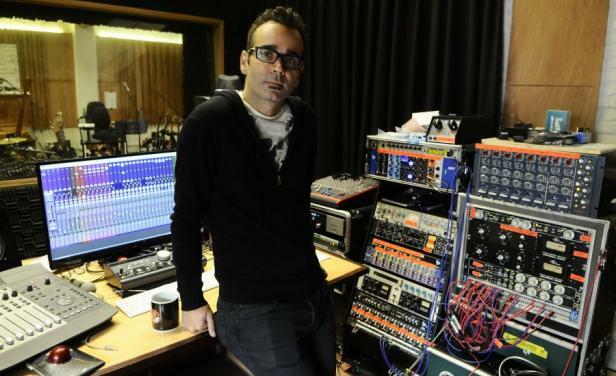 Jason Agel is a Grammy Award nominated engineer and producer, specializing in mixing, recording, and music production. He has been nominated for six Grammys and worked with internationally known artists, such as Shaggy, Maxi Priest, Eve, Ne-yo, Diddy, Lionel Richie, Cobra Starship, Beyonce, Bob Sinclair, Stephen Marley, Damian Marley, Wyclef, Chris Cab, Chris Brown, Elephant Man, Corey Hart and more. Agel’s work can be heard on releases by Prince, Kanye West, Björk, The Rapture, Beyonce, Jay Z, and more. He was nominated for a Grammy as the recording and mixing engineer behind John Legend's critically acclaimed album, Love in the Future, including the 5x platinum single, "All of Me". Hector Castillo has been working in the NYC music scene as a producer, mixer, and engineer for more than ten years. He began his career Philip Glass’ now defunct Looking Glass Studios, where he eventually became chief engineer and partner. Castillo has mixed several 5.1 surround projects, most notably T. Rex’s Electric Warrior, and David Bowie’s last two studio albums, Heathen and Reality. His film credits include The Hours, Notes on a Scandal, Fog of War, the original Beauty and the Beast Criterion DVD release, and Naqoiqatsi. Castillo has received four Latin Grammys in his career and worked with an impressive client list, including David Bowie, Björk, Lou Reed, Suzanne Vega, Rufus Wainwright, Philip Glass, and more. Mike Seay is a songwriter, producer, and performer with credits in both television and advertising. His musical career has spanned radio, artist management, and commercial music production, and includes performances in groups like NYC's Little Racer. In 2013, he began a broad adventure throughout Italy, performing and serving as musical director and co-host for the exploratory docu-series "On The Road." Mike is a graduate of the Berklee College of Music graduate and holds a master's degree in learning the hard way.